Free* mobile banking allows you to manage your account with ease through your smartphone or mobile device. Check your balance, pay bills, review account activity, and more — any time of the day or night. Click here to read more about Mobile Banking Security. Depositing checks from your smart phone is a snap. With Mobile Banking, you can check your balance, transfer funds, find a branch or ATM, and pay your bills. Now, with Mobile Deposit, you can even deposit checks directly from your smart phone. Online Banking customer for 30 days. Please keep the paper check until the funds are posted to your account. A cross-cut or diamond shredder will assist in complete destruction of check information. Do not leave deposited checks lying around, do not put deposited checks in trash or recycle containers, unless they have been shredded first. 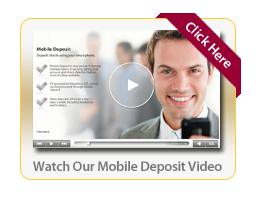 • Items transmitted using the Deposit Services are subject to our Funds Availability Policy. In general, if an image of an item you transmit through the Deposit Services is received and accepted before 4:30 p.m. Eastern Time on a business day that we are open, we consider that day to be the day of your deposit. Otherwise, we will consider that the deposit was made on the next business day we are open. The Bank may delay availability of funds based on such factors as the length and extent of your relationship with us, transaction and experience information, and such other factors as the Bank, in its sole discretion, deems relevant. Your time is important to you and it’s equally important to Colony Bank. That’s why we created Colony Online Banking.It is designed for people with your lifestyle,who want to bank when and where it is convenient for them. And best of all, it is free. Watch Our Enhanced Online Banking Security Video! Your Location - If access is being requested from an unusual geographic location, we may ask you to answer one of your Challenge questions before giving you access. When you are logging in, our Extended Validation Certificate will display as a "green bar" in your browser address bar. You can always enter your credentials with the assurance that if your browser address bar is green, your connection is safe. It is a known and trusted way to verify the authenticity of a website. Call Colony Bank at 1-800-873-6404 or email ebanking@colonybank.com for further information or contact a Customer Service Representative at one of our convenient locations near you. *Please do not include sensitive information (account numbers or personal data) within unsecure email. Each month we will email you notification that your eStatement is ready to be viewed. To view the eStatement, you will be required to log on to Colony Bank Online Banking with your Access ID and password. Once you have signed up for eStatements, you will no longer receive a paper statement via U.S. mail. If at any time you would like to have a paper statement again, just let us know and we’ll switch you back! It's free! There is no charge for this convenient, time-saving, eco-friendly service. Ability to print and/or save to your computer or disk. Access up to 13 months of statement history. Added security – avoiding mail fraud and mail theft. Ability to view at your convenience. Immediate access to checking, savings, and certificate of deposit notices for the respective types of accounts for which you choose to receive eStatements. To sign up for eStatements, log on to Internet Banking. 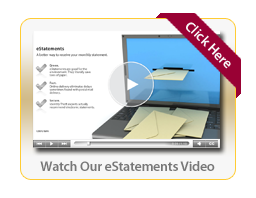 Sign up today for the most convenient and secure way to receive your statement! For more information, please contact us at 800-873-6404 or stop by a Colony location and we'll sign you up. * eStatements will be displayed in Adobe Acrobat Reader. If you currently do not have the application installed, you can download a free copy by going to http://www.adobe.com/products/acrobat/readstep2.html. Secure, speedy and so convenient. Colony Bank Popmoney saves you the hassle of writing and mailing checks -- and for the people you send money to, it saves a trip to the bank. Send money fast…Or send it NOW. Popmoney offers three delivery speed options – Instant Payment (immediate delivery), Next-Day Payment (delivered the next business day), and Standard Payment (delivered within 3 business days) – so you can get it there fast when you need to, and save a little change when you don’t. When you need to ask for money from anyone – friends, family, clients, tenants – Popmoney provides a more discreet, private way to do it. In just a few simple steps, the Request Money feature will send out requests, monitor responses and receive funds – all with no further action from you. Now you can send money – the gift no one ever returns – along with a greeting and a personal email message, for no additional fee. Choose a fun design from our collection of greetings for birthdays, weddings, holidays and more. Quicker than a trip to the post office, and ideal for last-minute gifts. All you need is a Colony Bank checking or savings account and your recipient's bank account, email or mobile phone number. When you send money, you’ll get a confirmation, and the recipient gets an email or text message with instructions on how to claim the money. It’s that simple. Your daughter is away at college and needs money for books – like, right now. You log in to Mobile Banking and choose Popmoney. Type in your daughter’s name and the amount you want to send. Choose Instant Payment for delivery speed. If you provide her bank account number, the money will be automatically deposited to her account immediately. If you provide her email or mobile number, she’ll receive an email or text with instructions to claim the money instantly. You’ll get a confirmation message that she has received the total amount sent. Mom to the rescue, again. Manage outstanding money requests – Use the Request Money dashboard to keep track of when money requests were sent and which have been responded to.